In this combination memoir and political analysis, Michael P. Balzano argues that blue-collar, ethnic voters are a key GOP constituency. If anyone can make that case, it’s Balzano. From working-class, ethnic New Haven, Connecticut, Balzano dropped out of high school and became a garbage man. Eventually attending college, he earned a doctorate from Georgetown, where he was a protégé of United Nations Ambassador Jeane Kirkpatrick. He entered the Nixon White House and worked on the campaigns of Ronald Reagan and the first President Bush. Balzano’s early chapters are a memoir of his halting beginnings and meteoric rise in Washington, dwelling in particular on his efforts under Nixon counselor Chuck Colson to strengthen the bonds between union workers and the Nixon administration. 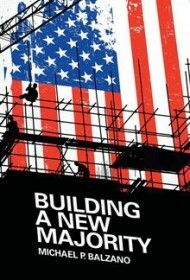 Balzano helped Nixon’s outreach to white ethnics, such as Italian- and Polish-Americans, the socially conservative and often staunchly anti-communist backbone of that era’s working class that formed what Balzano calls “the New Majority.” The author then recounts Bush’s and Reagan’s efforts to recapture and nurture Nixon’s New Majority. The remainder of the book focuses on political analysis. Balzano holds that when Republican presidents court blue-collar voters and keep their promises, they succeed—politically and in terms of policy objectives. Balzano acknowledges that this constituency is not as formidable as it once was, but he believes that it’s still an influential bloc of swing voters. Balzano has a knack for remembering colorful details of events long past. In his crisp if not elegant prose, as befits his working-class roots, he presents an insider’s how-the-sausage-is-made look at the dealmaking and log-rolling that drive public policy. Political junkies, especially those leaning right, will appreciate Balzano’s insights into what makes Republican presidents electable. As a Washington insider with a humble origin and a vowel at the end of his name, Balzano offers a unique perspective on what triggered the 1972 and 1984 GOP landslides. His book is sure to spark valuable political discourse.